Card Castle is a wonderful magic effect. It is easy to perform and will amaze any audience. The magician throws some cards on a tray and covers it with a large silk. 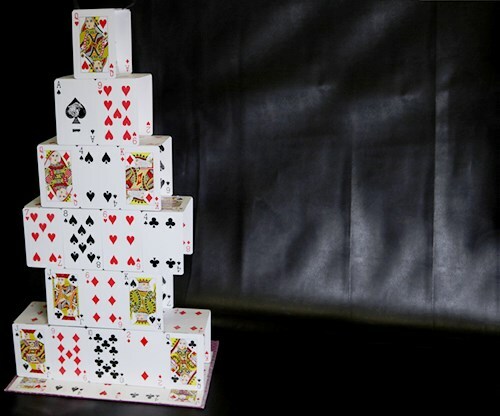 The magician lifts the silk up to reveal a beautiful card castle constructed by the cards!